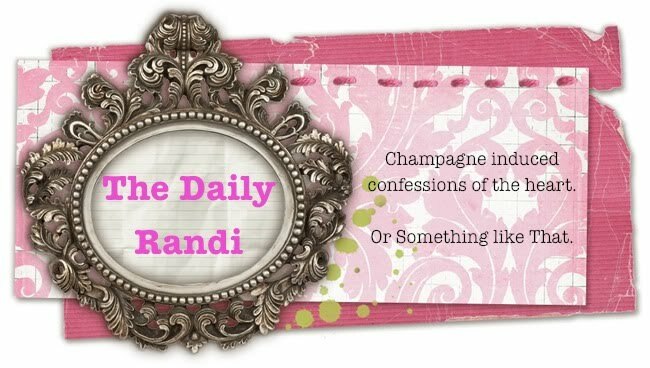 The Daily Randi: Oh, What A Beautiful Morning! Well, I Did It! I actually managed to Complete The Hardest Job I Have Ever Had In My Life. This past weekend was The Big Play and it seemed to be A Great Success. The Parents loved it and The Kids loved doing it. Personally, I Surpassed my own expectations for What It Could Be. And for what I Was Capable Of Doing. There were moments when I thought I wasn’t going to be able to pull any of it off. But, I Did. The Most Rewarding Part for me was Opening Night. There is That Moment, when you see your students up On Stage, in front of An Audience for the first time, recognizing What They Are Doing and then suddenly Standing Taller, Singing Louder. Every time they danced The Dream Ballet, I teared up because they were recreating such an important chapter of American Musical Theatre so Beautifully. We worked on The Farmer and The Cowman Dance so many times, it was A Total Thrill to see them Open Act Two with it Performed Perfectly! After The First Performance on Friday Night, I Cried My Eyes out in my car as I drove home. I have never been So Proud Of Anything in my entire life. One of The Hardest Parts of being A Teacher, is that at the end of the year, you have to Say Goodbye. These Kids are graduating from this school, continuing their educations at neighboring high schools. Sometimes, they come back to visit. Sometimes you run into them at The Local Starbucks, after school. But, for the most part, they Leave and you never see them again. You hope they will Remember their experience Fondly. I hope some of them continue trying out for plays. But, in the end, Middle School is just A Tiny Speck in their Memories. After all, all I remember from that time in my own life is A Great Fondness for Duran Duran and A Huge Crush on C. Thomas Howell. Totally Awesome Boyfriend came on Saturday Night and told me he Loved The Show. The Poor Guy has been A Saint though The Whole Process, letting me cry on his shoulder when things got Too Tough, reminding me He Believed In Me and that I was going to Get Through It All. I watched him sitting in the audience, A Huge Smile across his face and thought, “Wow. This has been A Very Good Year.” I must be getting this whole Life Stuff right for a change. And so, I end this school year feeling like I have Grown as A Person as well as A Teacher. I can do more than I thought I could and I hope I Instilled A Real Love for Performing in some young people. That’s A Pretty Good Way to end A Year when you are A Drama Teacher, I think. And if not, there is Always Next Year, right? Oh yay! I am so happy for you Randi! Congratulations! I remember every detail of the play I was in in junior high. It sounds like you did a great job and still have some of that "theater euphoria." Enjoy it and I hope you always remember it! Neither my daughter nor I will ever forget her as the Wicked Witch in Wizard of Oz in middle school. It's a far happier memory than the small town nastiness of the local high school theatrics. Conratulations! You should be proud, it is teachers like you that made me go into theater as a career. I'm now a scenic designer and without those great moments and teachers who never got enough praise about all they sacrificed for us, I couldn't have done it. I just moved as well, and for you to juggle that AND Oklahoma, I'm amazed! I hope this means all your stress ailments have gone away. I remember very clearly my middle school play - Auntie Mame was the bomb. And the piano player, a college student who was the son of a teacher, was oh so very hot. Congrats, Randi! Sounds like things are in a very good place for you right now on all fronts. Enjoy it!